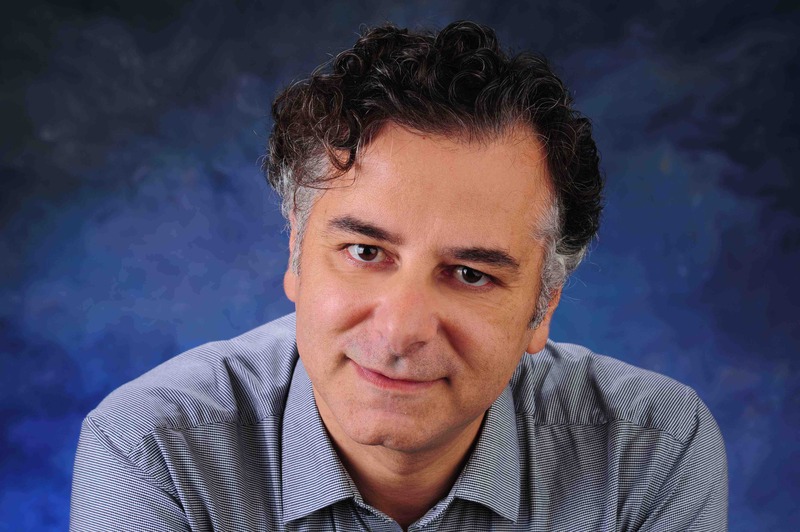 Professor Domenico Zito will head the research activities of the new Wireless Transceiver Laboratory at Aarhus University. He is an expert in wireless technologies and has international experience both in academic and industrial research and developments. This includes being part of teams behind the first industrial developments of modern short-range wireless systems. With a new university laboratory, researchers can boost their experimental work with wireless technologies for future networks that effectively and rapidly communicate large amounts of data. Aarhus University has established one of the world’s most advanced wireless transceiver laboratories, which will help researchers to create new knowledge about future wireless technologies operating at extremely high frequencies in both microwave and millimeter-wave spectra. One of their most notable research objectives is to develop new radio technologies and thereby devices and methods to transfer large amounts of mobile data at significantly higher speeds than is possible today. The laboratory is equipped with state-of-the-art technology that includes vector network analysers, signal spectrum analysers, micro-probing stations, noise figure meters, and a noise signal source – all of which can help investigating and solving major scientific challenges regarding future wireless connectivity and contactless sensing applications. “Working with high frequencies requires specialised and expensive equipment, and it is absolutely crucial for being at the forefront of developing the technologies that can unfold the full potential of the Internet of Things in the time ahead. Our greatest innovation challenge is to create high-capacity, energy-efficient wireless transceivers that can enable data transmissions from several devices at a magnitude we can’t do today. We’re heading towards a future Internet with high-volume data traffic where machines sense physical parameters of the surrounding environment, communicate with each other and exchange data, thereby making an unprecedented amount of distributed intelligence and automation possible,” says Professor Domenico Zito. Professor Zito is in charge of the laboratory which came about as a result of financial support from the Poul Due Jensen Foundation (the Grundfos Foundation) and the American multinational company Keysight Technologies. Both of these are important industrial partners, and they share the university’s interest in supporting talented researchers and innovators to create a leading international knowledge environment in wireless technology and its applications to address real-world problems and emerging industrial needs. “We have received an outstanding support from our industrial partners. It is absolutely crucial for our future research that we have access to the most advanced experimental facilities. This is also very important for our ability to educate next-generation engineers in this strategic area for society and economy,” says Professor Zito. The new laboratory will ensure that the engineering graduates of the future have experience with radio technology development for emerging wireless networks and communications. One of the wireless transceiver technology’s many application areas is contactless sensing, and the Aarhus University researchers already have a number of interesting projects behind them. These include the development of a contactless sensor that can detect and monitor people’s breathing rhythms. With a prototype size corresponding to a grain of sand, it is now ready for commercialisation. The researchers developed the sensor within the European research project ProeTEX, and it is based on a pulse radar built on a single silicon chip. The sensor is capable of detecting tiny movements with a high degree of accuracy, making the physiological data available remotely via a wireless connection with very low energy consumption. “The sensor detects respiration rate by tracking the chest movements while the person is breathing. We’ve carried out both in vitro and in vivo tests on children and adults, and we have got the proof of concept that we can manufacture efficient sensors for contactless body monitoring,” says Professor Domenico Zito. The sensor can be used for many purposes such as monitoring the breathing patterns of premature babies in hospitals, classifying the level of consciousness of car drivers in order to prevent sudden falling asleep, but to mention a few. Within the same European project, the researchers have developed radiometric sensor technology for contactless temperature detection, which was recently expanded for spaceborne detection of solar flares above the terrestrial atmosphere in another European project. The research and development of contactless sensors such as system-on-a-chip pulse radar and radiometer was acknowledged by the European Commission as the successful research project model in ICT for Health across the entire previous European Framework Programme. Wireless technology makes it possible to connect people and machines with each other so that they can exchange data, act and make decisions with a degree of intelligence that would have been unimaginable a few years ago. In the coming years, researchers at Aarhus University will create new knowledge about radio frequency (RF) transceiver technology and connectivity for emerging wireless communications. The researchers are among the best in the world at building wireless transceivers into a single silicon chip. This is a key step toward future smart consumer products with unpreceded performance for a considerable number of purposes, and thereby a key element in the digitisation agenda of modern society. In the coming years, the researchers will use the experimental laboratory facilities to create new knowledge about wireless transceivers for data communication, networking, contactless sensing and imaging in multi-disciplinary fields such as Information and Communication Technology (ICT), Health, Security, Transport, Environment and Space.